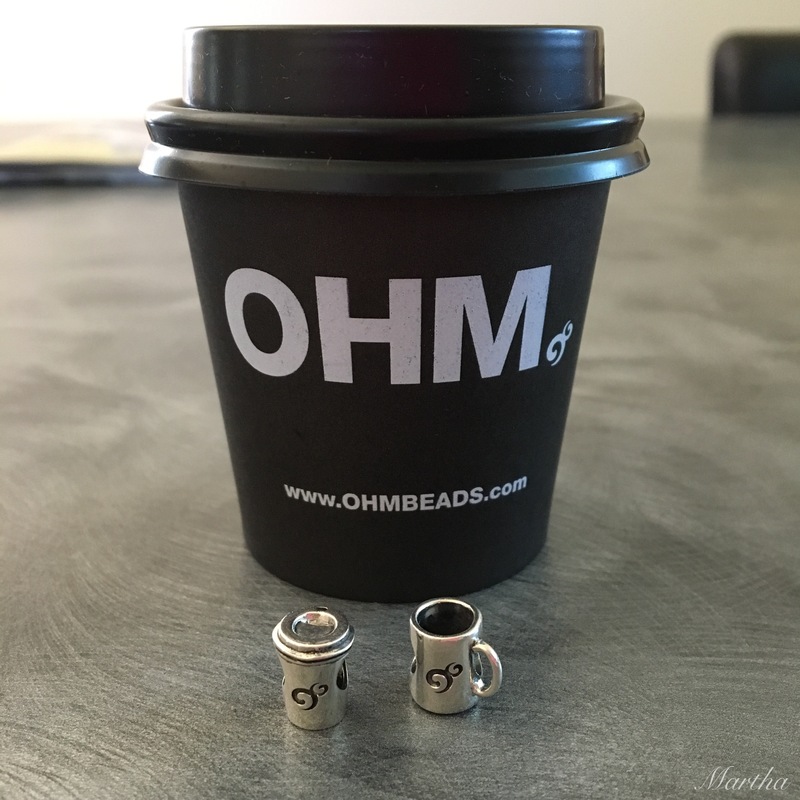 The Ohm Beads Coffee Collection ($95 USD/$120 CAN) is the July Bead of the Month and consists of two silver beads in a limited edition set. With one take away cup and one coffee mug, it’s a cute little set for coffee lovers. It comes packaged in a little paper take out cup. The detail on the take away cup is wonderful. I like the realistic looking lid and the little boxes where one can check off what the drink is. What I really like about the coffee mug is the shape. It’s the same shape as Starbucks mugs that I collect from cities we travel to. There’s a fun Instagram account called @starbucksmugger where people hold their mug with the icon in the picture in the background. Here’s my try at Disney World. 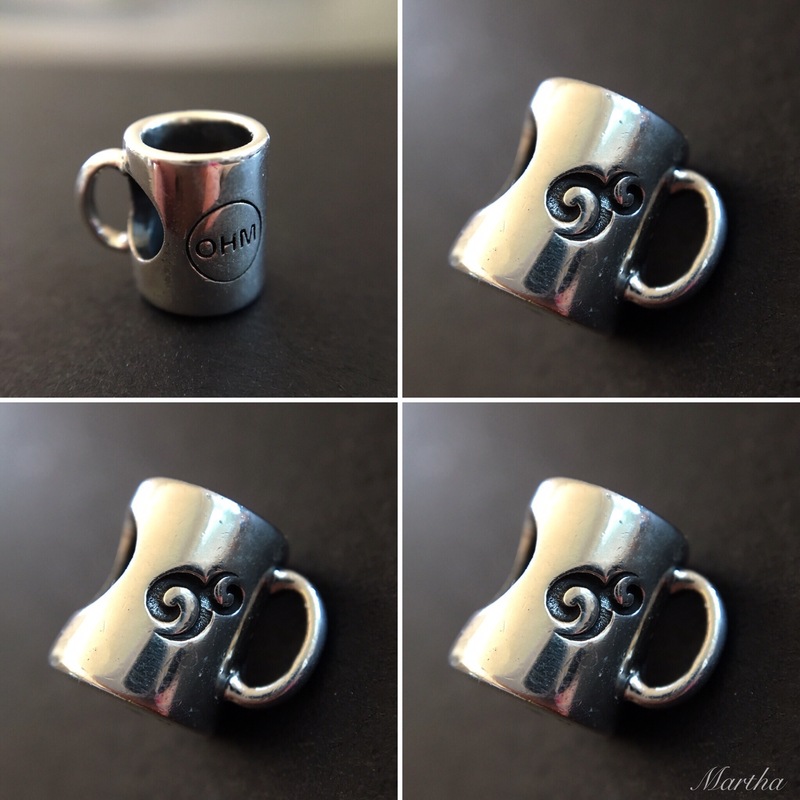 And here’s the little Ohm mug. The obvious choice for me was to use my Latte bead, which was one of the earlier beads of the month, two years ago exactly, actually. Sock Monster had been teaching Aunt Gnome how to make his famous Lemon Merangue Pie. 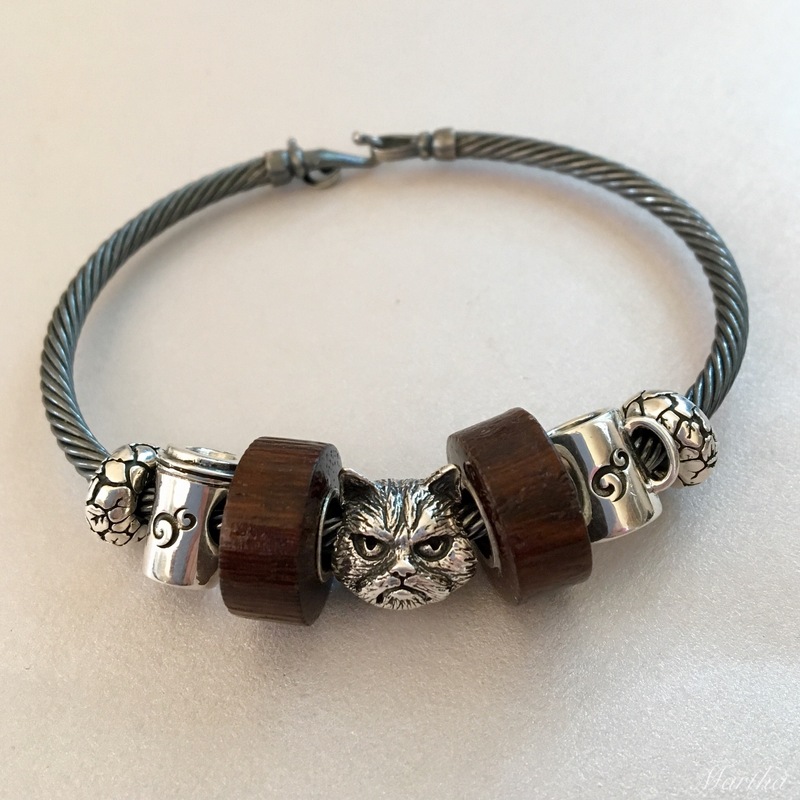 I like the Coffee Collection with Grumpy Cat and the Bolly Wood beads. I imagine this is how some people feel in the morning before having a coffee. I became a coffee drinker very late in life, so fortunately am not grumpy without a coffee. My husband actually had to go off coffee. One time on a trip he went without it for 24 hours and became physically ill, as he was used to having 2-3 cups a day. After that he weaned himself off of it and is now a tea drinker. The beads fit really nicely on the Redbalifrog Leather Strap. On the bangle are two Cold Milks and a Hot Chocolate. Keeping with a theme of drinks, here is a bangle using all four beads from the Holiday Drinks 2.0 collection. Left to right they are Mulled Cider, Hot Chocolate, Cold Milk and Eggnog. Sock Monster, being a bit high maintenance, likes to order an extra hot, grande, half caff, 4 shots, extra foam, soy Cinnamon Dolce latte with a drizzle of chocolate syrup when at Starbucks. 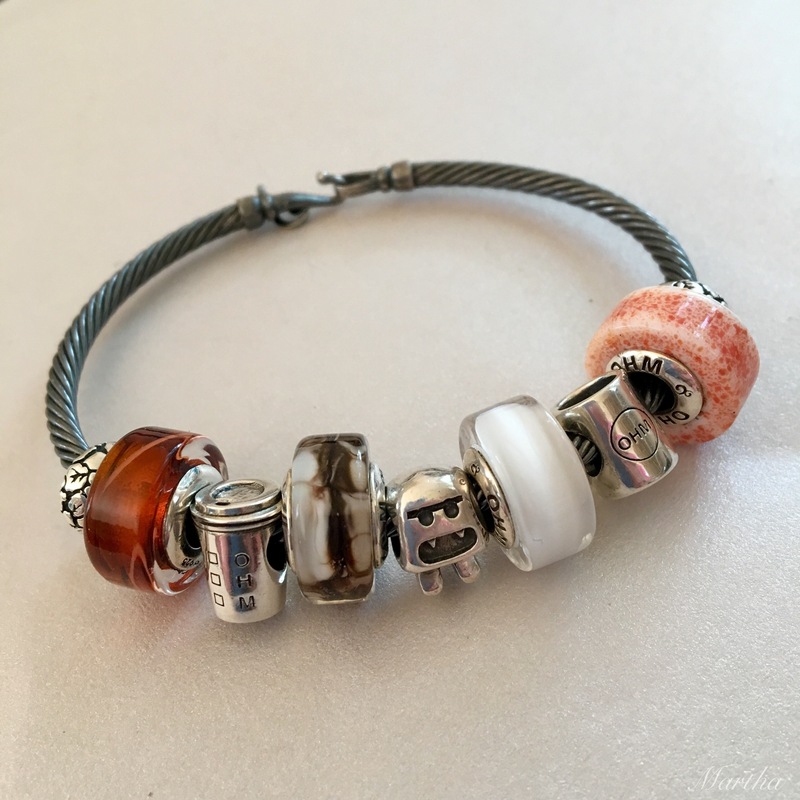 With the Coffee Collection beads being the shiny silvers like many other of my Ohm Beads, I decided to put together an all-silver bracelet. 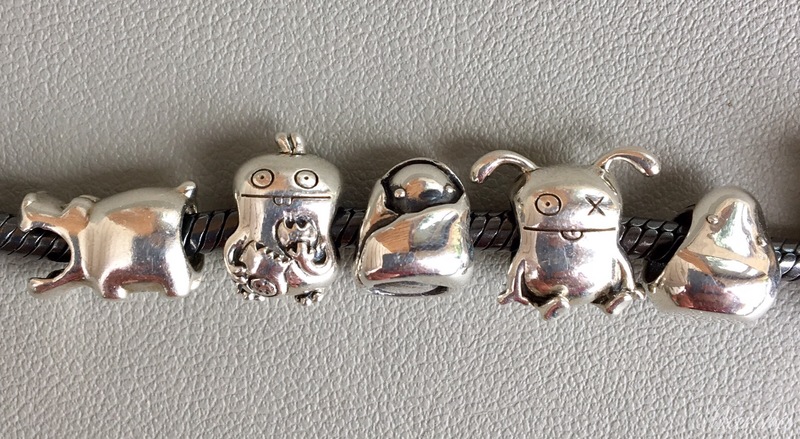 Below left to right are Growling Hippo, Babo, Self Conscious, Ox and Worry. Below left to right are Ohm Jar, Jiangshi, Coffee Collection, My Precious, Picnic Basket, Ohm? Horrible and Coffee Collection. Below left to right are Mr. Gnome, Sock Monster, Fretful-Nag, Ice-Bat, Anxiety, Wage and Cute Chameleon. These will be perfect beads for when I go for beads n’ coffee and I will probably always put them with some glass beads in warm tones. If you have these beads, how are you using them? Hi Martha, I’m not much of a coffee drinker, but I do like a Starbuck’s Frappacino now and then. 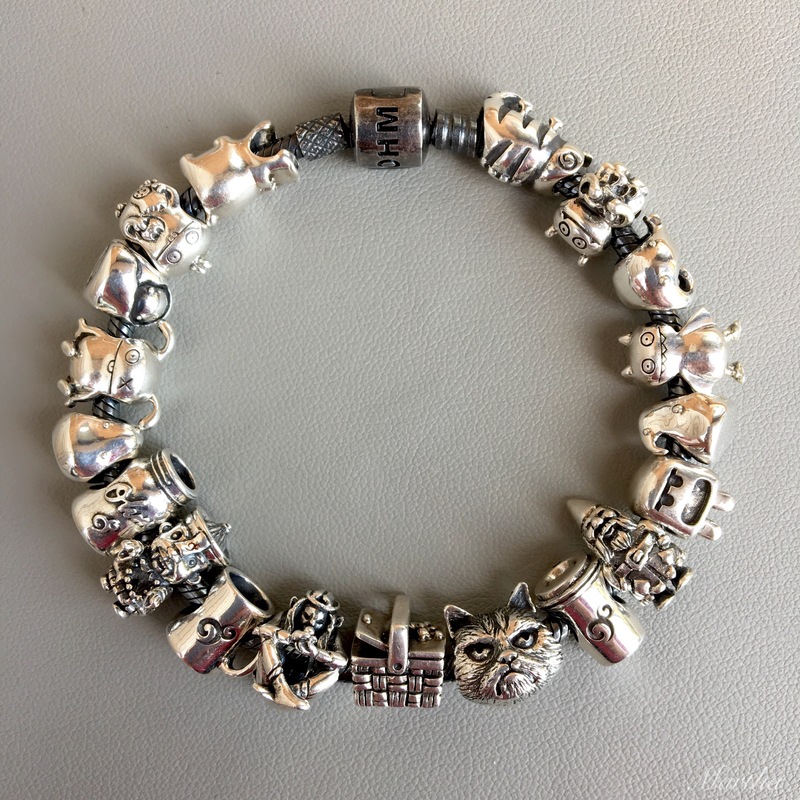 All your combinations are great and I especially love your all silver bracelet…that’s quite a group you have going out for coffee! I am not surprised that Sock Monster knows exactly what he wants…he obviously has a very discerning taste when it comes to his coffee. And Grumpy Cat just doesn’t care! Too funny, Suzanne! Yes, Sock Monster is a bit picky with things. That’s how I got started drinking coffee-first the Chai Tea Lattes, then Frappacinos and now I have a coffee every morning. 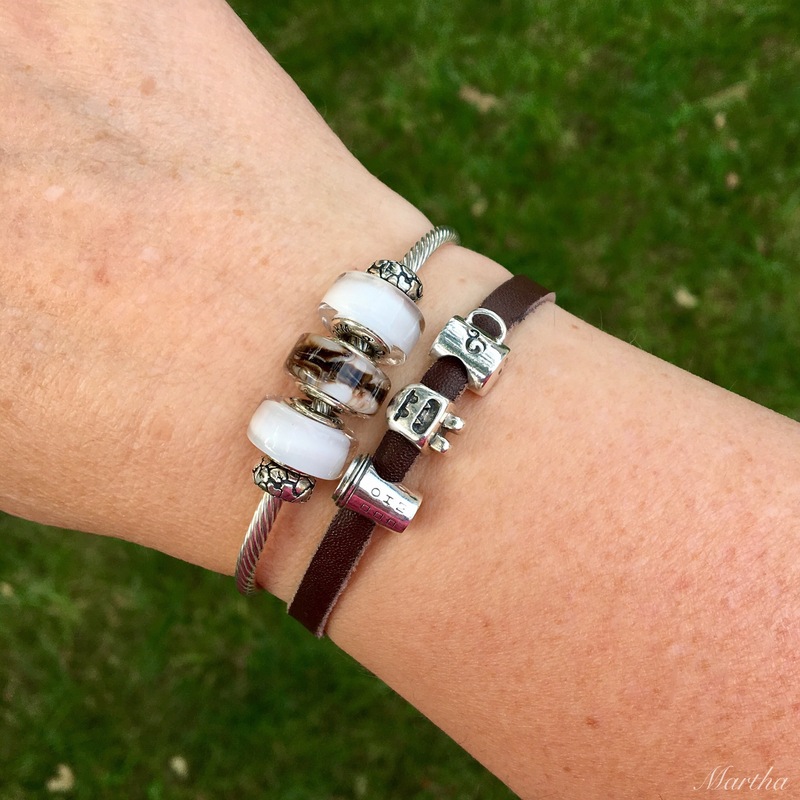 The all silver bracelet is quite something-but very comfortable to wear! Hi Martha! I’m not a coffee drinker (even if I enjoy a Cappuccino or a Latte from Starbuck sometimes). I’m a tea addict. 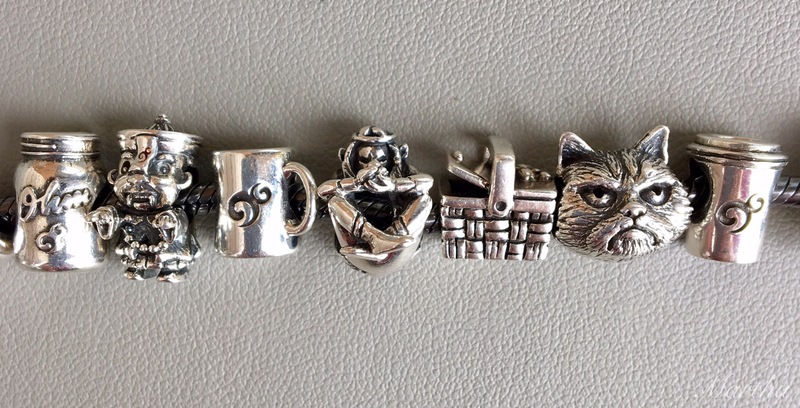 I did buy the set to make a tea bracelet but it got lost in the mail and I’m still waiting for it. No one knows where it is. I was told I had to wait two more weeks to be sure it got lost. And it’s really frustrating! It’s funny, my husband has the same problem with coffee than yours. When I met him, he used to drink A LOT of coffee. Sometimes 10 espressos a day. And when on holidays, with just two cups in the morning, he’d be really sick with trembling hands. He couldn’t quit but he has reduced drastically to 2-3 coffees per day and that’s better. But cafeine is really a drug and quite dangerous if you become addicted. Wow, 10 espressos! Yes, it becomes a problem if you then can’t get as much as you’re accustomed to and subsequently feel ill. I hope your beads arrive soon! I’ve never had anything truly get lost but have waited up to 10 weeks! Let’s hope you don’t have to wait that long! 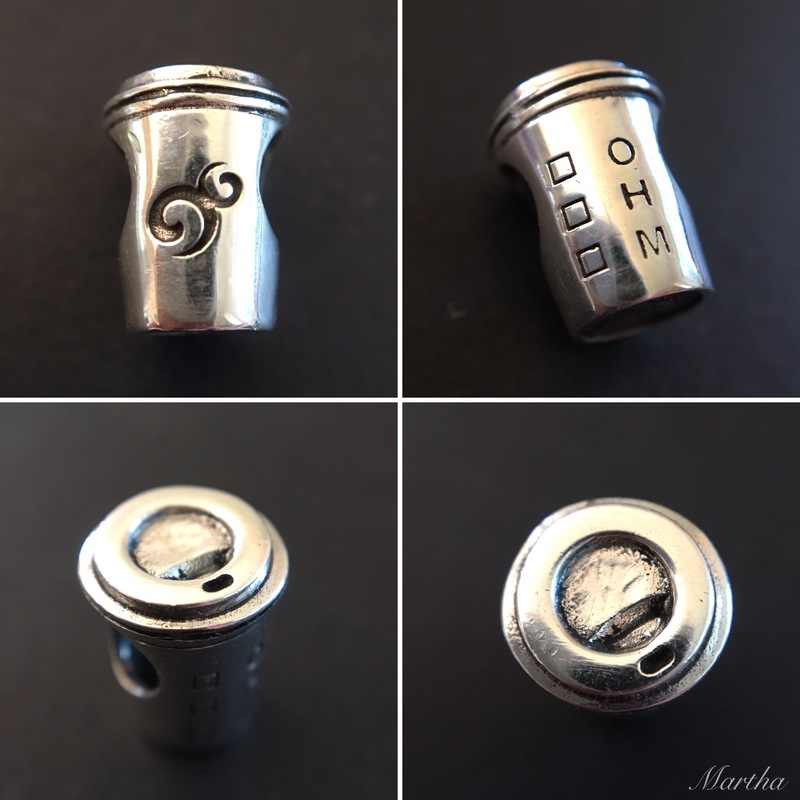 I’m a bit upset with Ohmbeads over this one I’m afraid, or maybe disappointed is a better word. 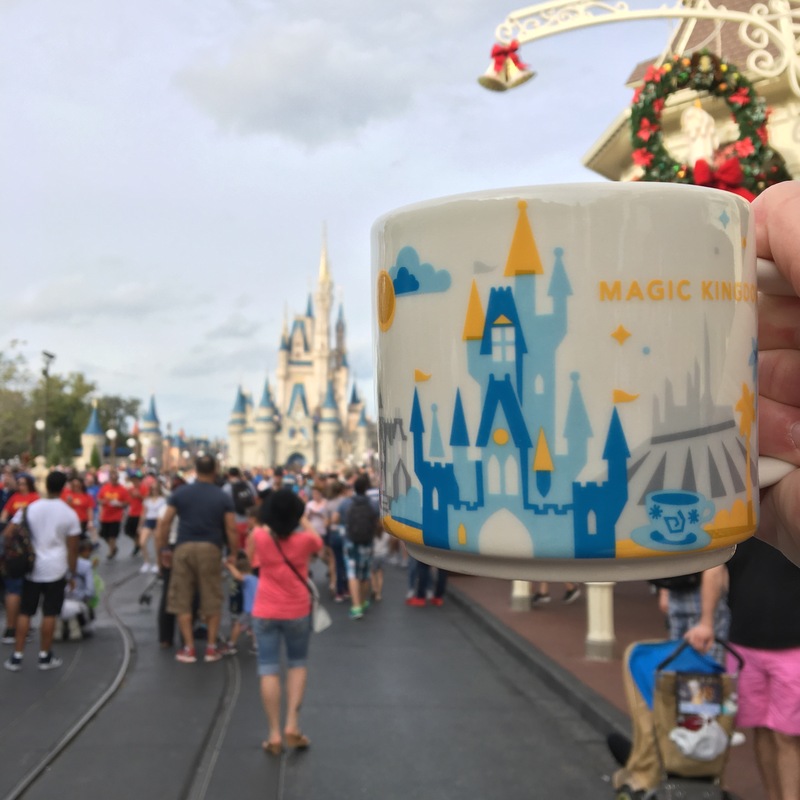 I love the mug, but I never ever buy coffee and I can’t justify buying the set when I only want the mug I’m afraid. It would’ve been cool to make them available as an either/or, but c’est la vie. Not for me. I’ll always covet the mug but if it’s never available w/out the takeaway paper cup, it won’t be in my future. They DO look so nice on that RBF leather!! I totally understand Faye, as it would be very expensive to buy the set just for the mug. 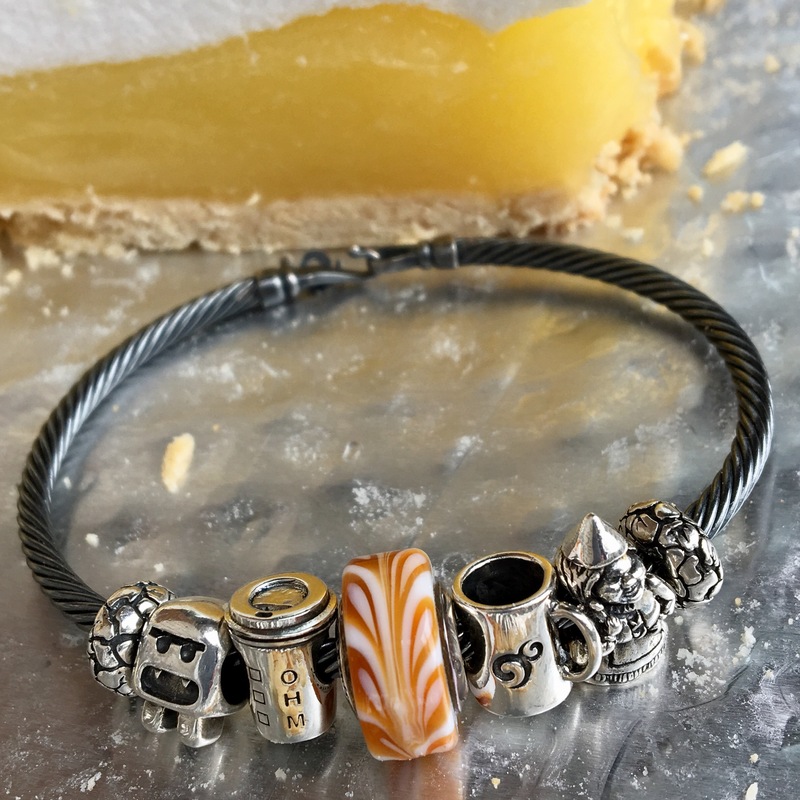 I wonder if someone would split it with you since Trollbeads has a mug so a lot of people would maybe covet the take away cup instead? I love them on the leather, also!